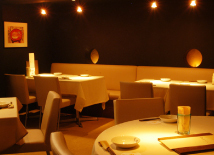 「GAYA」is a natural foods restaurant in AOYAMA,Tokyo. You have two types of special cuisine to choose from. They are ＜MACROBIOTIC＞ and ＜REAL FOODS＞. It suits those who are vegetarian, vegan, health conscious or on macrobiotic diet. We use fresh seasonal organic vegetables and whole grains to cook our sohisticated dishes. Meat, dairy or sugar are never used. Macrobiotic diet is a low-fat and high fiber diet, that is predominantly vegetarian, emphasizing on whole grains and vegetables. organic vegetables and grains for ＜REAL FOODS＞ menu. "Platinum Pork". They have very fine texture and fabulous flavor. Lunch set menu 950 ~ 1,300yen. 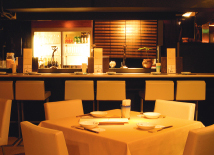 Experience our special meals in the Japanese "IZAKAYA" style. We have a good selection of sake, shocyu and beer, and also some organic wine. A la carte menu: 580 ~ 1,200 yen. course menu: 3,000 ~ 4,000 yen per person. Perfect lunch for vegans and those who practice macrobiotic. A range of lunch boxes is available for takeout or delivery. dishes, from 1,000 yen ~. * Delivery is only for a order 10,000 yen or over. Booking required. I was very surprised at your idea and power. Where on earth do your idea come from?? I would like to visit GAYA with my friend of macrobiotic. Also,I am looking forward to going to “Backstairs gossip of macrobiotic”!! I am worried about the problem what you were involved before.So,now in my blog,there are so many links from English-site. I'll work harder from now on. And I hope you have nice time with us, sometime future.